Jason Sperber is a stay-at-home-dad of 2 daughters, a writer, and a professional ice cream taster in Bakersfield, California. 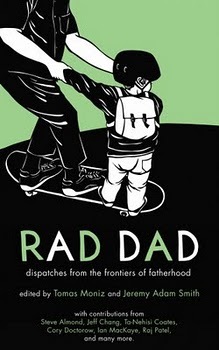 Once upon a time, he was an OG dadblogger at daddy in a strange land and co-founded Rice Daddies, the seminal group blog by Asian American dads. He is a co-founding writer of, and is the resident hapa Trekkie at, The Nerds Of Color. Follow him on Twitter at @dad_strangeland and on Instagram at @jasonsperber. Find me in this book!